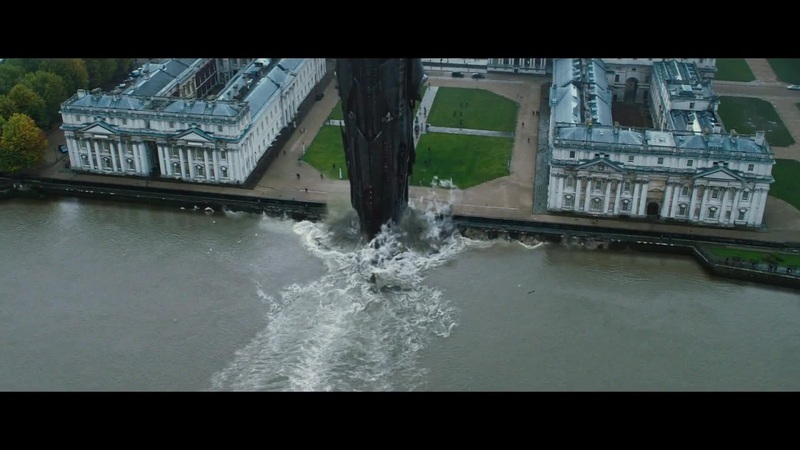 Transformers: Dark of the Moon, The Dark Knight Rises, Star Trek: Into Darkness and now Thor:The Dark World, darkness everywhere! But really no one's bothering to put any effort into these titles anymore are they? Avengers seems like it would be a hard act to follow, it's like the Apocalypse in Supernatural, where do you go after the biggest possible event has already happened? Why don't the Avengers call on each other for assistance in future films? How do you keep them separate? But Marvel seems to have everything nicely planned out, Iron Man 3 was just as big and just as fun and we see how Tony Stark dealt with the events of the Avengers and he's put in a situation where he's not only unable to call his team mates for back-up, but he's out of contact with everyone. Not that they would be able to help, seems like the rest of the Avengers are busy with their own problems, we are now seeing on-screen what we have had in comics for decades, superheroes easily forming teams and just as easily going off on their own adventures. That's a really difficult thing to do in film, it requires all the individual components to work just as well autonomously as they do united. And I must give Marvel props for that, each member of the Avengers can carry a film, or a series of them on their own. So what's the God of Thunder up to? "One year after the events of The Avengers, Thor battles to save the Nine Realms from a mysterious enemy older than the universe itself. A primeval race led by Malekith, who is out for revenge, intends to plunge the universe into darkness. 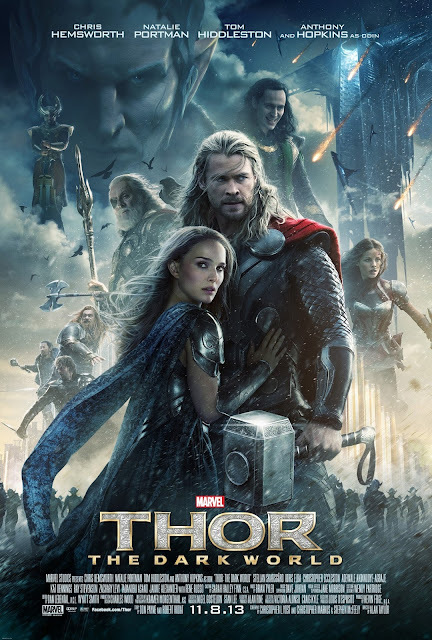 Confronted by an enemy that even Odin and Asgard cannot overcome, Thor must reunite with Jane Foster and set out on a dangerous journey that will force him to make the ultimate sacrifice." Alright, from that synopsis and from what we see in the trailer I think we can expect a big epic fantasy more along the lines of what one would expect from Thor, and of course there's some generic bad guy who's intent on taking over the world, cliche but when you're dealing with fantasy, superheroes and a PG-13 rating, what else do you expect? Speaking of villains, guess who opens the trailer? I can just hear Marvel going "yeah fangirls, we know what you want, we are going to fill this trailer with so much Loki you're going to think this film is called 'Loki'." I remember when the first Thor came out and out there was this huge hype around Chris Hemsworth, especially in here in Australia. But after seeing the film, it was Tom Hiddleston that everyone was talking about, I guess it's true, girls like the bad boys. I'm a fan of Tom Hiddleston too, but I feel Loki is coming dangerously close to being over-used in the franchise. He's played up a lot in the trailer, reminding me of what Jack Sparrow became in the Pirates of the Caribbean sequels. Loki in the comics has always been closely tied to Thor, he's almost like the Joker, he's the arch-nemesis that the hero just can't get rid off. The tragedy and drama that comes from brotherly betrayal is always great, narratively speaking. 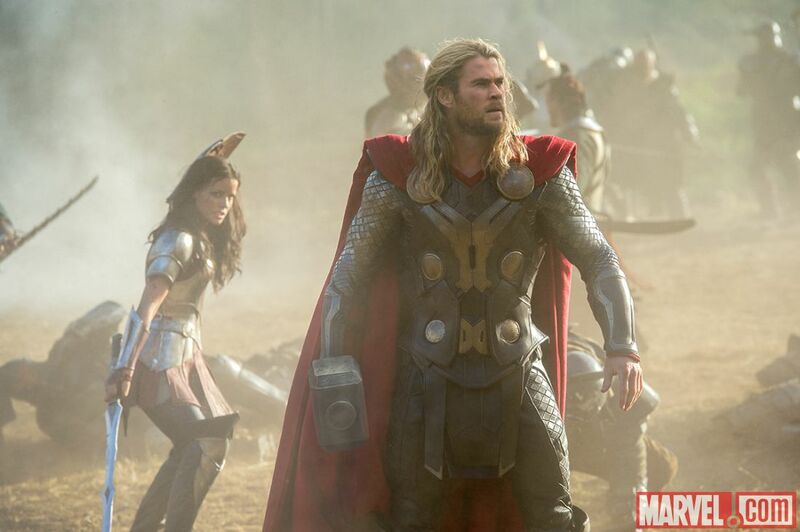 Does Loki have a place in Thor 2? Yes, logically this can be viewed as a story-arc spread over a trilogy, Thor 1; Loki falls from grace, Avengers; Loki becomes a true villain, Thor 2; he's brought to justice and possibly reformed. Jane Foster slaps him and he says "I like this one" similar to when the Joker in the Dark Knight responds to being punched by Rachel Dawes with "a little fight in you, I like that". 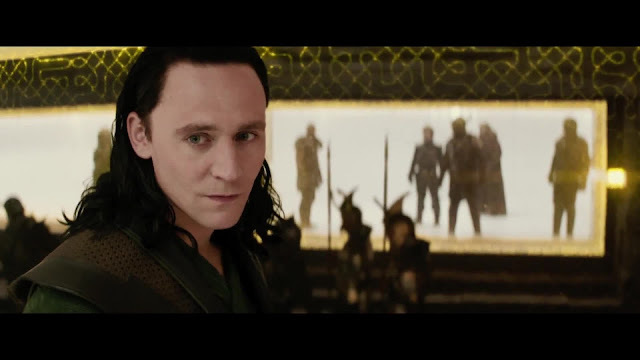 Loki's even repeating himself "you must be truly desperate to come to me for help" not unlike his Avengers trailer line "how desperate are you?That you call on such lost creatures to defend you?" But this could just be a symptom of how they've decided to market this film as Loki heavy and not an indication of the film itself. This film looks absolutely stunning, it might just be the most beautiful of the Marvel movies, this may be due to Alan Taylor of Games of Thrones helming as director or the natural beauty of Iceland but as a long time fan of Norse mythology I am excited to see Asgard depicted with appropriate grandeur, especially since we saw so little of it in the first film. 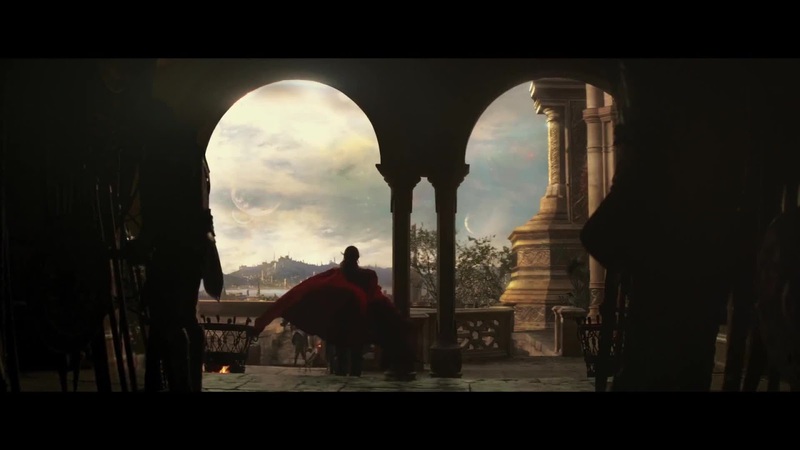 It looks like Tarsem Singh and Annie Leibovitz got together and made some cinematography magic. 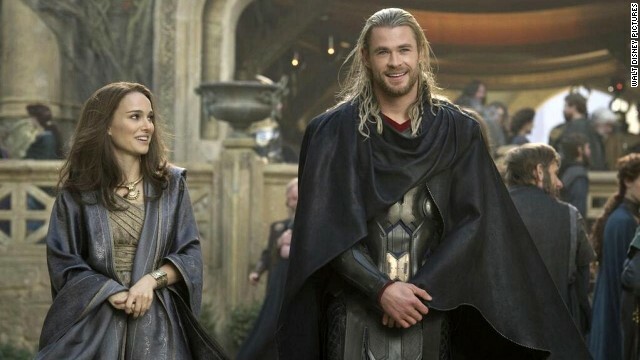 Natalie Portman is back as Jane Foster as well as Kat Dennings and Stelan Skarsgard who appear to have been living in London since we last saw them, but from what I can gather, we won't be spending too much time in Midgard (Earth), which is good because when I watch a Thor movie I want to see something outside of my own realm of existence! It also looks like this films will be mostly driven by their wuv story, whatever. Last year London had to deal with Reapers, this year, well not much has changed. Thankfully there is no shortage of smashing things, I love seeing Thor, the Warriors Three and Sif in action, the latter of whom seems to have been given much more to do this time around. Sadly I don't think we even see Hogun at all. The last few seconds of the trailer is quite funny, we should not forget that Thor is awesome and can be both comedic and badass, sometimes both at the same time. Of course this wouldn't be a review of mine without a comment on the costumes. This isn't Wendy Partridge's first superhero film, she's also worked on Blade 2, Underworld and Hellboy among other things, I like her work and she has done well to continue the distinct established look of Asgard. I imagine I will review the costumes in full once the film is released. That about sums up my first impressions, what did you think of the trailer? New Readthrough! The Dresden Files! Peter Capaldi is our 12th Doctor!